There are steps that are taking place to interlink today’s technology with the chore of ordering your prescription medicines from the local pharmacist. A system that has existed for a few years in Australia and is continuing to run is eRx Express which works with a mobile-platform app and QR codes that are printed on prescriptions. In this setup, a user could send a prescription order to their local pharmacy by scanning that QR code. But they would have to go to that pharmacy to collect and pay for their medicines, unless the pharmacy has established a home-delivery arrangement for the patient. The main benefit is to allow a person to start things happening for a prescription to be filled from home, work or a shopping-centre’s food court and not have to wait around at the chemist’s while it is being filled. This system is part of an IT solution that is being offered to Australian doctors and pharmacists to improve the prescription-management workflow. 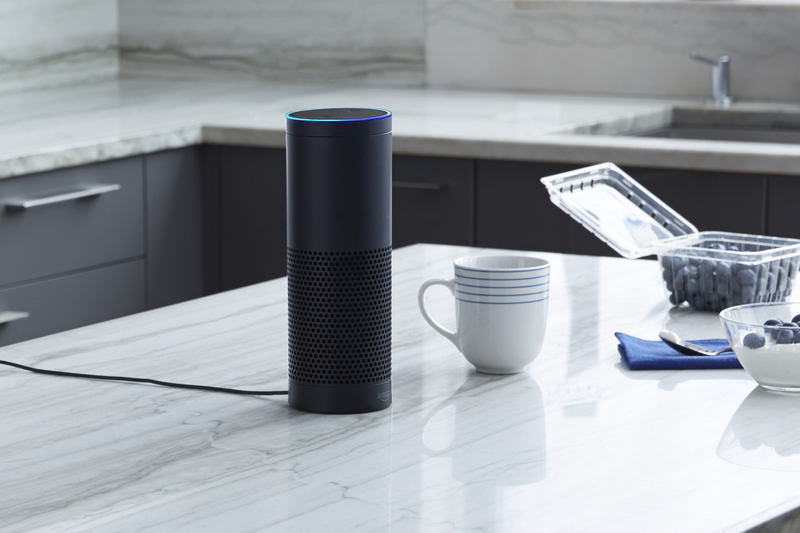 NowRx, a Silicon-Valley startup, have taken this further by providing a Skill for the Amazon Alexa and Google Home so you can use these voice-driven home-assistant platforms to order your prescription medicines. They want to make it feasible for you to request, refill or renew your medications with the last four digits of your prescription number. Like the rest of Silicon Valley with their approach to traditional business models, they see it as a way to take on the traditional local chemist’s shop by running a robot-driven warehouse and home-delivery service, and at the moment, they have 400 Bay Area doctors as part of their network. NowRx uses Amazon and Google as a facilitation path so that their patients’ medical data isn’t held by the home-assistant platforms; something that is set up to avoid storing that data on systems that aren’t compliant with the US’s standards concerning medical-data privacy. There are some people who could see these systems as trampling on what the pharmacy is about, including the management of a patient’s medication and the face-to-face interaction with the pharmacy’s customer base. But if these systems are set up as something that augments a local pharmacist’s workflow such as providing an express path for the supply of medication integral to a patient’s continual-therapy requirement, they can be seen as legitimate by most communities. This is more so where pharmacists are able to and encouraged to provide supplementary health-care services like vaccinations or first-aid as well as dispensing medication, a practiced performed in some European countries. One of the analogies that can be related to with these services is when the financial industry started implementing automatic teller machines. There was the initial fear of these machines were about replacing bank teller staff but they ended up being primarily as an express option or an all-hours option for a customer to withdraw cash. In this case, the eRx and NowRx platforms would serve more as an express path for a patient to get to the medicines they need as part of their long-term therapy requirements. An issue that will face iOS device users who make use of the iTunes desktop media-management applications is that starting from iTunes 12.7 onwards, they won’t be able to upload iOS apps from their regular computer to their iOS mobile device in a tethered manner using this software. 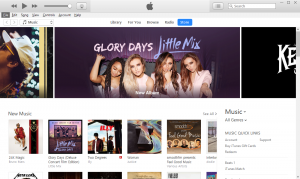 This is in addition to omitting the iOS App Store from the iTunes Store shopfront integrated in iTunes. It is also part of a direction that Apple is enforcing with iOS where you manage your iPhone or iPad from its screen and update its software “over the air”. Tethering is where you connect a computing device that can normally function alone to another computing device, typically a regular computer, by a wired connection. 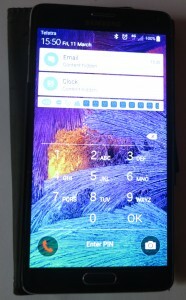 This is typically to allow a smartphone to be a modem for a regular computer or to transfer data stored on one device to the other device. 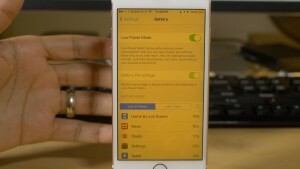 In this case, it is to transfer iOS apps stored on your regular computer running macOS or Windows to your iPhone, iPad or iPod Touch that you have connected to the computer. But there are people who use a Mac or Windows regular computer to deploy iOS software to iPhones and iPads. For example, in your business or household, you may want to deploy the same app to multiple iOS devices and want to save bandwidth by caching the app to your regular computer’s hard disk then deploying the same app by tethering each iOS device to your regular computer. As well, some of us may use this as a way to get around a dodgy Internet connection by downloading to a laptop used at a location with known-to-be-good Internet service then deploying where it’s more convenient. 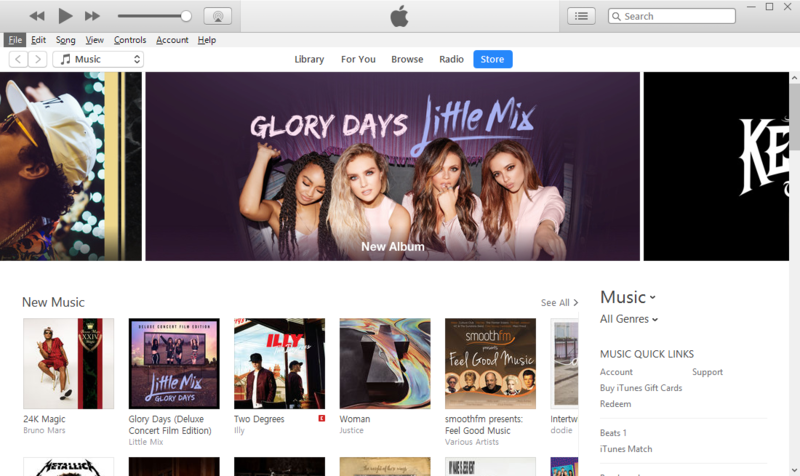 Apple offered a make-do update for iTunes by offering the iTunes 12.6.3 software. This has the feature set associated with iTunes 12.6 including access to the iOS App Store and tethered app deployment for iOS devices. But it has under-hood improvements which allow it to work with iOS devices that are running iOS 11 or newer versions. This is alongside iTunes 12.7 which is focused as a media-management tool and iTunes media storefront. Personally, I would like to see Apple approach this situation in a better manner for both the Mac OS and Windows operating systems. This would be in the form of a separately-installable “iOS-desktop-manager” program that provides add-on functionality to either the Mac OS operating system for Macintosh computers or to the iTunes Windows port. It would at least provide desktop access to the iOS App Store along with tethered app deployment for iOS devices. As well, the “iOS-desktop-manager” program could provide device backup and management abilities so you could do things like backup an iPhone or reset a faltering iPod Touch. This is more so where the Wi-Fi or wireless-broadband modem in an iOS device or its network connection can be a point of failure and it isn’t realistic to restore from an iCloud backup if the iOS device’s Wi-Fi is so slow or intermittent. Similarly, using something like your local backup infrastructure such as your NAS or a USB external hard disk of your own means that you aren’t necessarily ceding control of your mobile-created data to others, something that can be of importance when it comes to privacy. A trend that will be surfacing with the voice-driven personal assistants is that the speaker or headset device doesn’t need to be directly connected to a home network to access the Internet. Here, some of these devices will connect to a computer or mobile device via Bluetooth or a similar technology but work in an “app-cessory” manner with a vendor-supplied app. Here, this app will serve as a gateway to a voice-driven personal assistant platform which can be hosted natively or through an add-on app, with this function activated through a dedicated button on the audio accessory device. 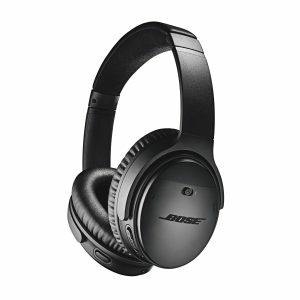 The first example of these is the Bose QuietComfort QC35 II which is an active noise-cancelling over-the-ear headset, but this setup will also appear with more headphones products from Bose. In this case, the headset connects to the smartphone via Bluetooth and works with a Bose-supplied control app but works hand in glove with the Google Assistant app, available for Android and iOS. There is a special button on the Bose QuietComfort headset that is mapped by the control app to trigger Google Assistant while messages that come in are read by Google Assistant in a text-to-voice manner. You will expect the Google Assistant to do what it can including providing voice-driven access to resources. This is while the headset is optimised to work at its best with voice recognition even when faced with noisy environments like public transport. As I was highlighting in the last paragraph, such devices will be acoustically optimised for error-free voice recognition, preferably with the chosen platform. One method that will be commonly used would be to implement a microphone array that uses the multiple microphones to focus on the user’s voice. This will be augmented with dynamic sound enhancement for the voice-driven personal assistant platform so that you can hear the personal assistant clearly when it replies. But could these headphones and speakers be seen as a gimmick when any wired or Bluetooth headset can work with your mobile platform’s integral voice assistant without the need for any extra software? 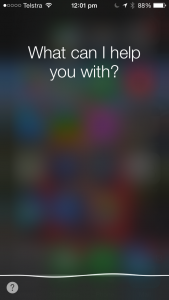 This is where you can, for example, dwell on the “call” button on your headset to invoke Siri or Google Now, then interact with that assistant to make a call or send a message for example. Personally, I would just like to see the voice-recognition abilities of an audio accessory improved so that they can work with whichever voice-driven personal assistant you use. This would be in the form of something like microphone arrays or something similar, along with a standard function mapping for voice-assistant buttons. Similarly, audio adaptors and wearables like smartwatches and fitness bands could be focused towards supporting the “visual component” of voice-driven personal-assistant platforms by showing visual information on their displays that augment the voice-driven experience. If you can’t manage your iOS 11 device’s WiFi or Bluetooth from the Control Center, you may have to go to the Settings App. Apple has just rolled out iOS 11 as an update for your iPhone’s or iPad’s operating system and, as expected with “.0” versions of operating systems’ major functionality updates, there will be a few bugs and issues here and there. This is typically due to Apple, like other software vendors, rushing the major-functionality version of the software out the door to satisfy the vendor’s marketing team’s needs. In this case, the goal here is to get the new iPhone X and new iPhone 8 range, which will be loaded with this operating-system version, ready to sell to the crowds queueing outside the Apple stores and mobile phone retailers on the day they are released i.e. 22 September for the iPhone 8 and 8 Plus, and 3 November for the iPhone X. One of these is the inability to manage Wi-Fi and Bluetooth from the Control Center on your iOS device even though the buttons do exist there to enable and disable this function. Here, you may want to disable one or both of these functions for your privacy when in the vicinity of Wi-Fi networks you don’t trust, to save battery runtime when you are not connected to a Bluetooth peripheral or a Wi-Fi network or simply as part of troubleshooting a Wi-Fi network or Bluetooth peripheral connection. The symptom shows up in the form where pressing the Wi-Fi or Bluetooth icons in the Control Center has no effect on the Wi-Fi or Bluetooth functionality. But you can work around this by going to the Settings app on your iOS device. 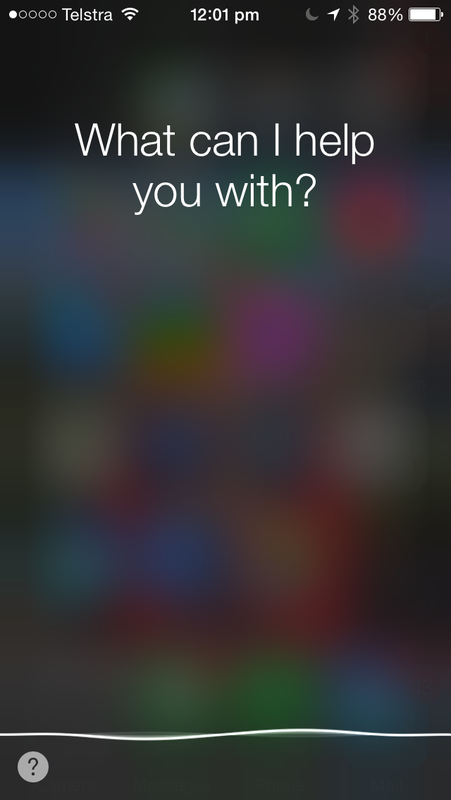 Then you tap on WiFi or Bluetooth to select the appropriate function you want to control. Disable the appropriate function by sliding the switch to the Off position whereupon you will see no references to Bluetooth or Wi-Fi activity and the green marker will disappear. Or enable the appropriate function by sliding the switch to the On position where you will see the green marker appear and references to the Bluetooth or Wi-Fi activity appear. Of course, keep an eye on the Settings app for newer “point-release” versions of the iOS operating system and update your iOS device with these newer versions as they arrive. Here, these versions will typically rectify bugs, security exploits or weaknesses that become knowledge to Apple. Increasingly, data-storage device manufacturers are adding to their mobile network-attached storage devices the same kind of network-based data storage and access features typically offered with a standard desktop NAS device. 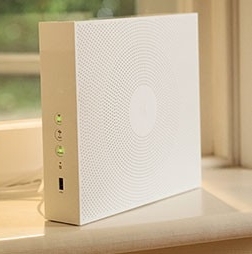 This is rather than these devices just being a lightweight file server for smartphones and tablets connected to the device’s own Wi-Fi access point. 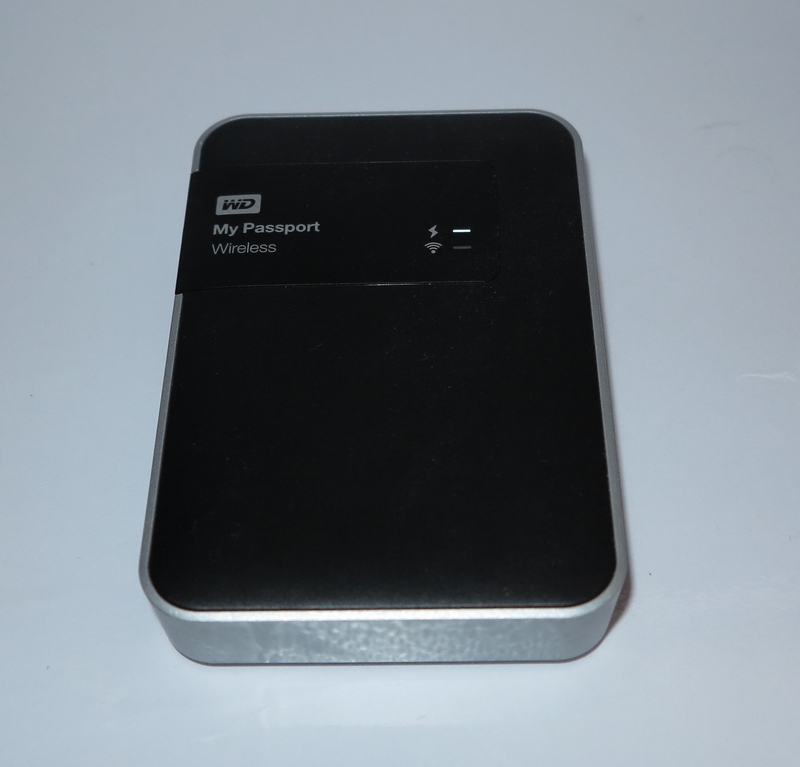 I had previously reviewed one of these devices in the form of the WD MyPassport Wireless mobile NAS which demonstrated this kind of functionality. 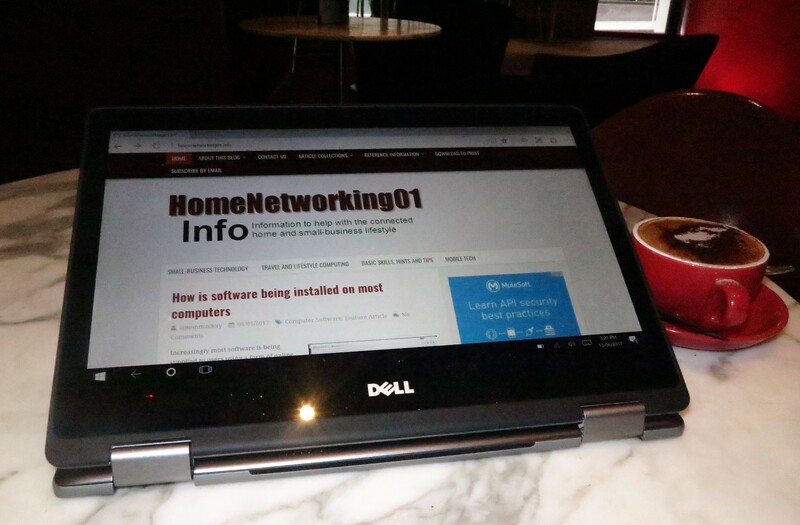 In the review, I had called out the DLNA-compliant media server that was part of that mobile NAS’s feature set, where you had the ability to show your photos and videos on one of the latest Smart TVs via the home network the TV is connected to. As well, some of the increasingly-sophisticated devices like the WD MyPassport Wireless Pro also are offering the same kind of Samba-based (SMB / CIFS) file transfer method that you can do with other NAS devices so you can transfer resources to these devices using your regular computer’s operating-system’s file manager and its network file transfer protocols. Similarly, the devices may implement FTP, WebDAV or other common network-file-transfer protocols primarily to allow you to upload photos and footage from your Wi-Fi-capable digital camera or camcorder to the mobile NAS if the camera honours these standard protocols. How to have this work properly? Here your mobile NAS unit needs to be set up for connection to an existing small Wi-Fi network as a client device of that network. It also needs to be set up to share its resources to that client network in addition to the network it creates using its own wireless access point. Most of this configuration that I would be talking about here would be something you would do using the vendor-provided native mobile-platform app or, perhaps, a Web page that the mobile NAS creates as its management page. Typically, you may set this up as part of enabling a “Share Wi-Fi Connection”, “Wi-Fi Hotspot” or similar function that effectively shares a logical network connection between multiple devices that connect to the portable NAS’s access point. This function is similar to what most travel routers offer as a way to share the one logical (and usually permitted) connection to a hotel’s guest-access Wi-Fi service amongst the personal computing devices you and your travelling companions own. Similarly, this same function creates a “trust circle” between multiple devices connected to the mobile NAS’s access point allowing them to be discovered by each other even if the public-access Wi-Fi network that the NAS is connected to is configured properly with client isolation enabled. When you enable the “hotspot” function on a sophisticated mobile NAS like the WD MyPassport Wireless / Wireless Plus series or the Seagate Wireless Plus, you will have an option to set this function to work in a “private” or “secure” mode or a “sharing” mode. 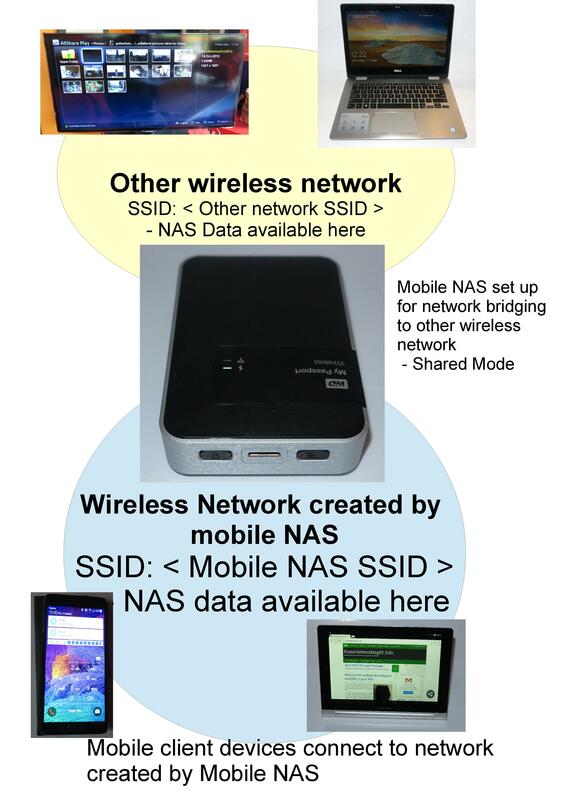 In the “private” mode, the data held on the NAS becomes available only to devices on the Wi-Fi network created by the mobile NAS’s access point. Conversely, the “sharing” mode will make the data available to devices on the network which has the Wi-Fi segment you connected the mobile NAS to as part of the “hotspot” mode. To allow the mobile NAS to share its resources on your home network, you need to enable the “sharing” mode or disable the “secure” or “private” mode while setting up the “hotspot” functionality. It is a wise practice not to use the “sharing” mode on a Wi-Fi network used as a public-access network and this function wouldn’t work with these networks that are properly set up with client isolation enabled. What can the manufacturers do to improve the Wi-Fi bridging functionality on these devices? The “Wi-Fi hotspot” or “Shared Wi-Fi” functionality could be improved upon by allowing users to create preset operating modes for particular Wi-Fi networks. This would work in a similar way to the way Windows allows the user to classify each network they connect to as being a “home”, “work” or “public” network, causing it to adopt an exposed persona suitable for your home or office network or a private person for that public-access Wi-Fi network. Such parameters could be to determine whether to share resources with the host network or to always clone the client device’s MAC address when connecting along with remembered Wi-Fi network passwords. 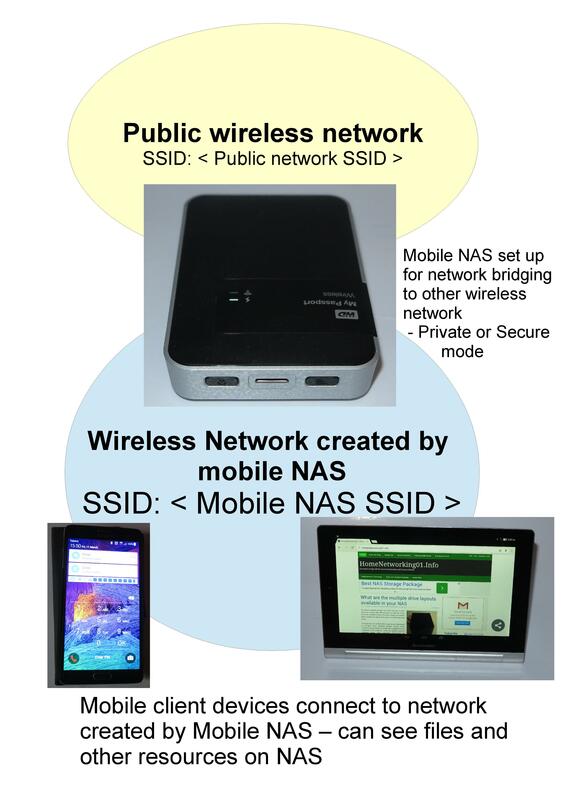 Here, as a user connects the mobile NAS to a Wi-Fi network for “Shared Wi-Fi” operation, they are invited to save the configurations they have established for that network. Then, when they reconnect to that network, the mobile NAS assumes the operating modes that the user previously defined. These details can be referenced by the host network’s ESSID or a user-defined name for that network. Once you know how to set up that highly-capable mobile NAS device and exploit the “private” or “shared” operating modes that these devices offer with setting up the “Shared Wi-Fi” or “hotspot” mode, you can then use them to make resources held therein available to other small networks you connect them to. In most situations, pathology testing has required that the samples be sent away to a central laboratory to be analysed in to something meaningful for the professionals who prescribe them. This would typically take more than a day unless the laboratory was co-located with the facility that collected the sample such as in a hospital. But there are some steps being taken to use a common smartphone as the equivalent of a pathology lab for most of the common tests. The goal with these devices is to allow the analysis of the sample and communication of the results to the end-user with a very short lead-time. The first one of these solutions was a portable spectrograph device developed by Columbia University that connected to a smartphone’s headphone jack and worked with a special app to identify the presence of pathogens associated with certain diseases. There was also a view to have it work with less-expensive devices that could run user-installed software like the iPod Touch or low-tier Android phones, along with the ability to work on very low power. 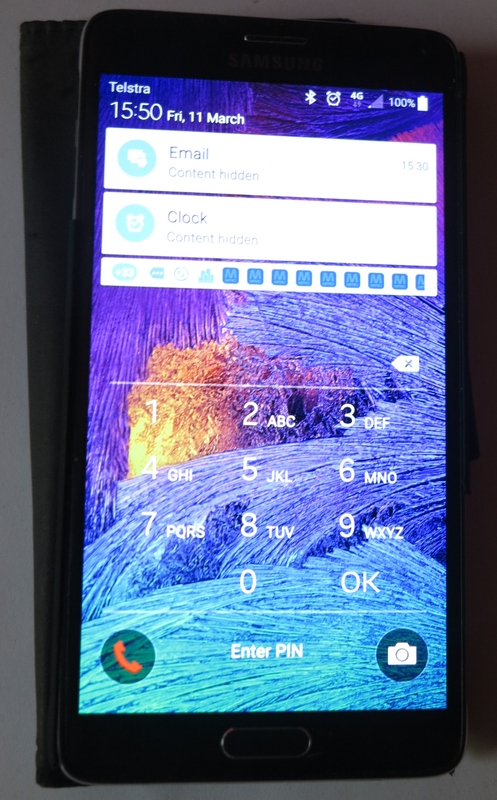 The second one of these solutions attaches to an existing compatible smartphone and makes use of that phone’s camera and LED “flash” light to analyse the sample. It could also be set up to work with an integrated green-light laser diode as an alternative analysis light source. This time, the sample of blood, saliva or urine is collected in a special microfluidic cartridge which means that the same “lab” could be used for multiple tests. There is a goal with this technology to adapt most of the common pathology tests to be performed with this hand-held “path-lab” and the goal can be achieved by reprogramming the software that is the companion app for this device to suit the test. Personally, I would see these technologies initially work with the common ailment-specific “screening” tests or various “wellness” tests like cholesterol tests. There will also be an appeal to implement them with various drug tests where there isn’t a goal to achieve forensic-level accuracy. Similarly, medicine-level tests associated with chronic-illness treatment could be evolved to this technology. But why is the idea of purposing a smartphone or similar device as a portable pathology lab appealing? The key driver is to obtain there-and-then results suing highly-portable cost-effective equipment. One use case is to do one or more pathology tests on a patient as they are transported in an ambulance to hospital and have the results communicated to the emergency department before the patient arrives. This also extends to situations where there are many casualties such as on a battlefield or other disaster zone. In this case, the smartphone with the handheld “path-labs” would be able to provide better-quality information for on-site treatment teams, rather than having to transport many samples to ultra-busy laboratories who may not communicate the results in time. The rural community will also benefit in the context of routine tests especially where the nearest capable pathology lab is a long distance away from the village or town. Here, flying-doctor services, district nurses and the like can perform the common tests at the patient’s home and pass them on to regular general-practice doctors or specialists as well as making the patient and carer known of these results. It also augments the use of mobile devices as part of telemedicine efforts that can benefit this community. But the same situation also applies to delivering healthcare in to third-world countries, something typically facilitated by the many volunteer organisations who answer this need. Here, the volunteer organisations can use this technology for identifying disease risks or organising the right treatment in a “there-and-then” manner. Then there is the ability to use this technology as part of at-home healthcare programs including supporting the concept of ageing-at-home. This can be about using it as part of medicine management or monitoring long-term illnesses and assessing the effect of treatments without needing to go to a doctor’s clinic or hospital. What is being seen here is the ability for cost-effective smartphones and similar highly-mobile devices that are based on platforms that support user-installable software to be used as part of personal healthcare in any part of the world. Any of you who have used Bluetooth headsets with your smartphones may have come across situations where the headset ceases to function or sounds the “low battery” signal when you use these devices a lot. This can happen more so if you are listening to music then make or take a long phone call using the headset and is something I had experienced many times with the Sony SBH-52 audio adaptor. 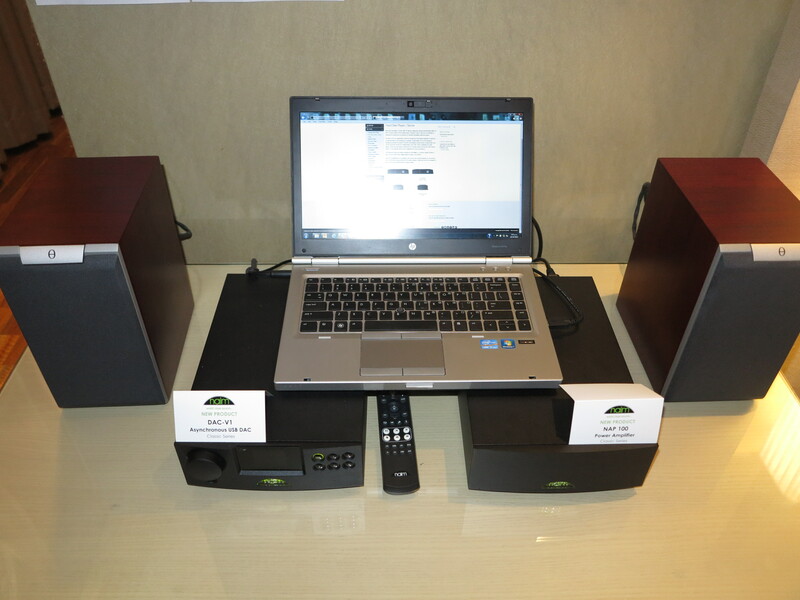 But the audio protocol is being worked on to avoiding consuming too much battery runtime. Apple and Cochlear, who are behind the Australian-invented Cochlear Implant hearing-assistance technology, have developed Bluetooth Low Energy Audio to provide a high-quality audio link between mobile devices and headsets but make very little demands on the battery. As well, the Bluetooth Special Interest Group are working on a similar protocol to achieve these same gains, with the goal to have it part of Bluetooth 5.0. But this has to be supported in a vendor-independent manner in the same context as the current Bluetooth audio technologies that are in circulation. But why is there an imperative to develop a low-energy audio profile for Bluetooth? One key usage class is to integrate Bluetooth audio functionality in to hearing aids and similar hearing-assistance devices that are expected to run for a very long time. Here, we are also talking about very small intra-aural devices that may sit in or on your ear or be integrated in a set of eyeglasses. The goal is to allow not just for audio access to your smartphone during calls or multimedia activity but even to have an audio pathway from the phone’s microphone to the hearing-assistance device as well as the phone being a control surface for that device. Similarly, there is a usage goal to improve battery runtime for Bluetooth headsets and audio adaptors such as to avoid the situation I have described above. 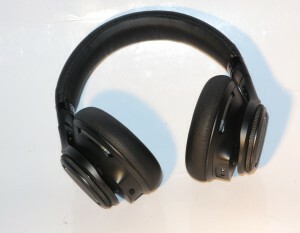 It can also cater towards improved intra-aural Bluetooth headset designs or lightweight designs that can, again, run for a long time. Let’s not forget the fact that smartwatches are being given audio abilities, typically to allow for use with a voice-activated personal assistant. But devices of this ilk could be set up to serve full time as a Bluetooth headphone audio adaptor with the full hands-free operation. The expectation here as well could even be to have the display on the wearable active while in use, whether to show the time, steps taken or metadata about the call in progress or whatever you are listening to. Once audio over Bluetooth Low Energy technology is standardised, it could be a major improvement path for Bluetooth-based audio applications. 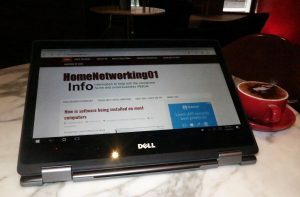 The Windows-10-based 2-in-1 portable computer like the Dell Inspiron 13 7000 Series that I reviewed just lately is appealing as a viable alternative to the iPad or Android tablet. For some users, it may be about a single device that they can use for creating material like writing that memoir; or enjoying content including playing some casual games like Words With Friends or watching online video. The same can also hold true for people who use clamshell laptops, especially the thin-and-light or entry-level variety and want to engage in these activities. Here, these computers are seen by Microsoft and developers as another “PC-class” device i.e. 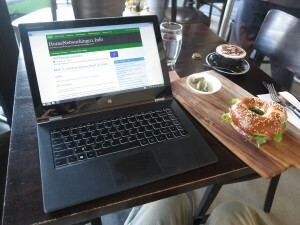 a regular computer in the same vein as the typical desktop or laptop computer. 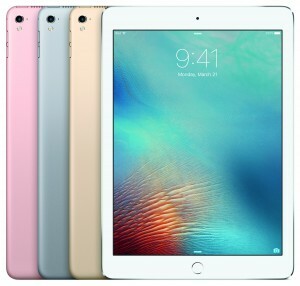 It is in contrast to how the iPad and Android tablets are seen by their respective operating systems as a distinct mobile device which can be developed for separately. But the mobile platforms have acquired a large range of software behind them that appeals to people who want to consume content. Here, the iOS App Store and the Google Play Store are replete with many respected social-play and casual games along with official native client apps for various media and information services including catch-up TV or video-on-demand services. As well, most if not all, communications platforms and social networks implement a native client for the mobile platforms with a large percentage running a Windows 10 native client that can work on a regular computer and available through the Microsoft Store. Let’s not forget that the Microsoft Store is full of the well-known games with different variants providing different user experiences and capability levels for these games, For example, no personal computing platform has ever existed without one or more variants of the common board games like chess or backgammon that you play against a hard-to-beat computer opponent. But there are some online media services, games and apps that have been engineered for the touch experience but haven’t been ported to Windows 10 as Universal Windows Platform applications that can run on the 2-in-1 computers. If an app or game is ported to Windows 10, it typically may just be ported to the Mobile variant which means the Windows-10-based mobile phones. This affects some of the popular mobile-platform games like Plants vs Zombies or Piano Tiles, along with the “TV Everywhere” or “catch-up TV” apps that TV broadcasters and pay-TV platforms offer. Similarly, a lot of the smart-home devices that work on the app-cessory model offer most of these apps only on the iOS App Store or the Google Play Store. Here, I have had to run an article about how to use the Web to set up or manage an Amazon Echo but most of the other devices wouldn’t work further without an app from these stores. The only other option that people have for playing a favourite casual game or using an online media service is to use Web-based resources such as playing a Web-app version of the game or visiting the service’s Web page. 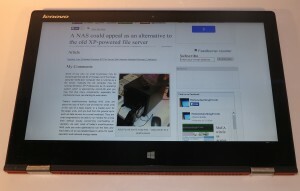 In some cases, the pages aren’t really optimised for a touch-driven user interface like what these computers offer, nor do they take full advantage of what Windows and your 2-in-1 computer has to offer. Similarly, some of these services use Adobe Flash as the preferred advanced user interface rather than HTML5 and this has been highlighted as a security and performance risk. Microsoft is now simplifying the process for porting mobile-platform apps from iOS or Android to the Windows 10 Universal Windows Platform and having them available through the Windows Store thanks to Xamarin or Apache Cordova or various Windows Bridge frameworks. Some of these tools also simplify the process of writing and targeting an app to Windows 10, iOS and Android all at once, something that can work for those of us who are writing an app from scratch with the goal to target those platforms. The challenge here for developers who have written iPad or other tablet apps would be to port them to Windows 10 and maintain a similar user experience to the iPad package. 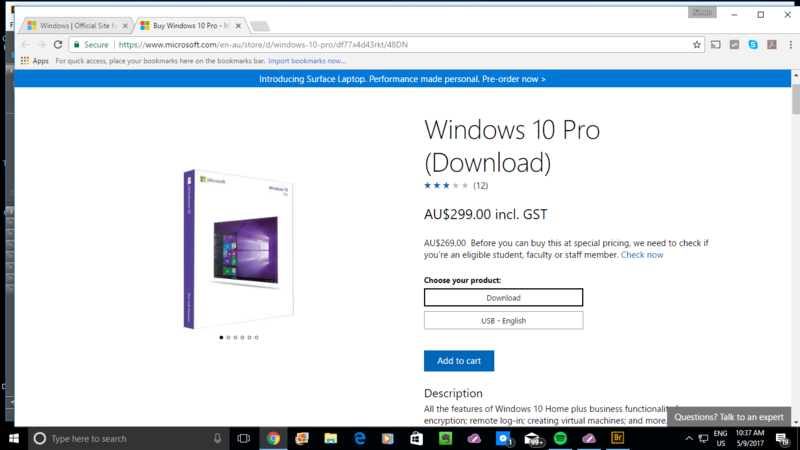 Then the developers would benefit from making tweaks to the app to exploit the Live Tiles and other Windows 10 user-interface features. There also has to be some importance towards maintaining the same level of “touch-ability” between the tablet platforms thus yielding the same experience. Let’s not forget the issue of maintaining the same level of performance and playability across the different platforms so you are not finding that the Windows 10 port of that iPad game appears more sluggish than the original version. By making sure that the mobile apps and games are available across iOS, Android and Windows 10 UWP including PC users who use the 2-in-1s, it can be feasible for app developers to cover all their bases and reach every platform effectively. 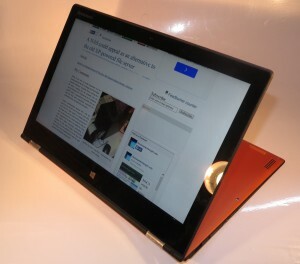 In some cases, it could place the likes of the Dell Inspiron 13 7000 2-in-1 as viable personal-computer devices for the family house where Grandma lives. Do the large 2-in-1 convertible laptops still earn their keep? Increasingly most computer manufacturers are supplying at least one 2-in-1 convertible laptop that has a screen size of between 13” and 16” in their product lineups. 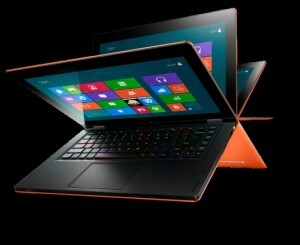 These work in a similar vein to the Lenovo Yoga range which made this concept more cost-effective. 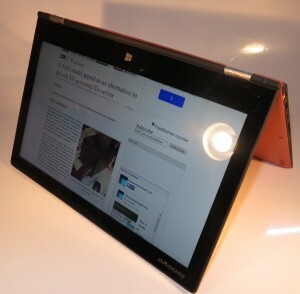 Here, the computer has a hinge that swivels through 360 degrees so that it changes between a laptop and a tablet, with the ability to be angled to be a viewer with the screen on a slant or to be set up in a “tent” mode that looks like an A-frame signhoard. Some manufacturers like Dell, HP and Lenovo are offering a range of these computers with some models offering the kind of performance and storage expectations akin to most mainstream laptop computers for a price very close to one of these computers. This is while they offer the premium Ultrabook variants like HP’s Spectre X360 along with business-rated variants like HP’s Elitebook X360 that have all the security features desired by enterprise IT. These large convertible laptops have a screen size that appeals to regular laptop use which would underscore a lot of content-creation activity. But a significant number of people will consider them to be too large for use as a tablet, especially if the idea is to use it as something that takes over the iPad’s or Android tablet’s role. This is because these tablets have a screen size of between 10″ and 11″ that that yields a highly-portable device best suited to personal media consumption. Some people may appreciate the large screen for these computers while used as a tablet compared to the conventional 10”-11” size pitched for tablet devices. For example older people and those who don’t have good eyesight will appreciate the large screen especially when it comes to reading or casual gameplay. It can also appeal to people who find the traditional laptop as their “comfort zone” but want to dabble with the tablet feel with that same screen size. Similarly, you could easily share the screen between two people.This is augmented by the use of that “presentation viewer” position which has the screen at that comfortable viewing angle while the keyboard serves as a base. 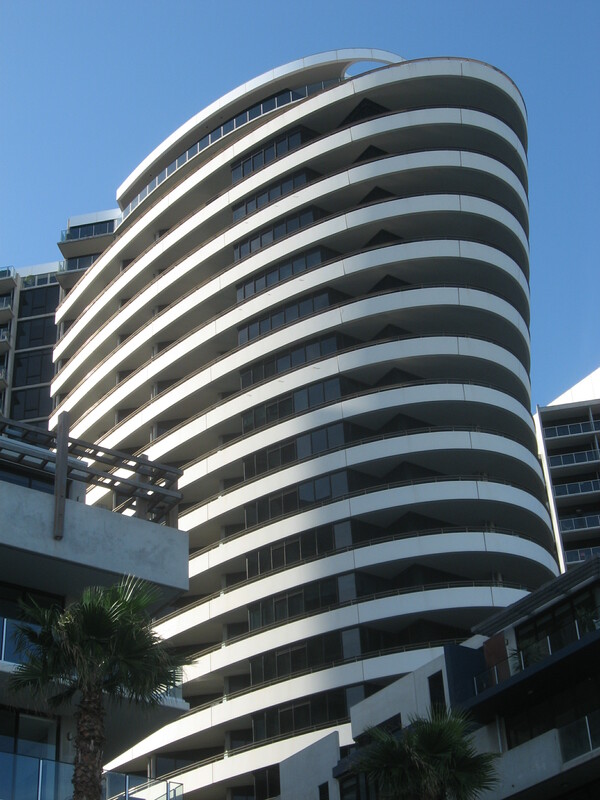 In some cases, the larger area allows the weight of the base to be spread more easily. A classic example could be for the two of you to relax on the couch or in bed and watch that online video, or you to read through that PDF recipe file with the computer resting on the kitchen bench. 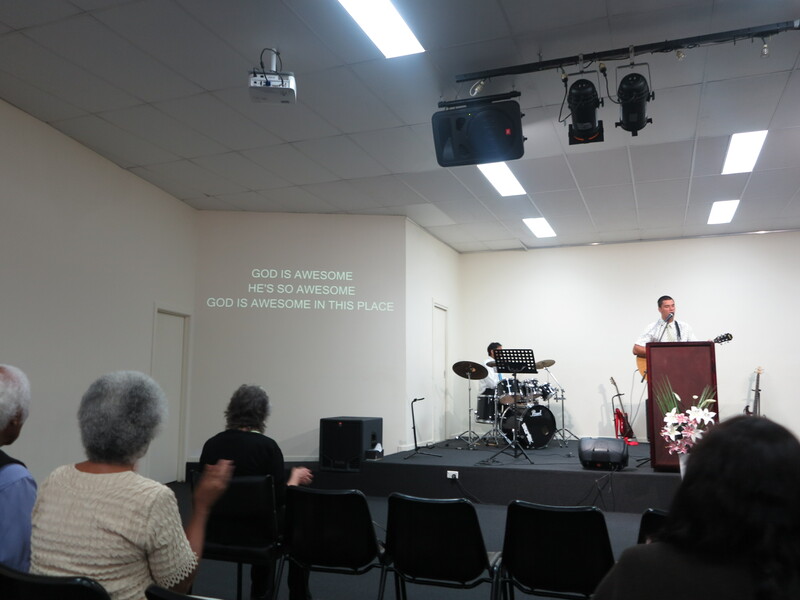 The large size screen in these tablet-based modes also allows us to see more text-based context without needing to zoom in and out or scroll the text. This can be useful for those of you who are presenting from material like notes stored on one of these computers. The limitation with these larger convertible 2-in-1s regarding their size is that it may not appeal as something that is light enough to be pocketed away. Here, these computers would end up being transported in the same manner as the traditional laptop. Similarly, there hasn’t been much effort taking place to port the mobile-platform games and apps to Windows 10, which just about all of these computers run. Here, a lot of these games that exist on the mobile platforms are optimised to exploit the touchscreen user experience which this class of computer offers as well. 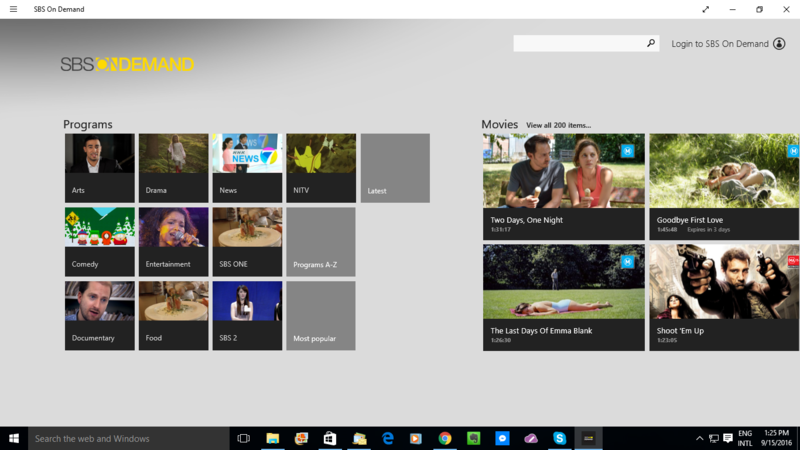 There is also the practice amongst a large number of “catch-up TV” and similar video-on-demand providers to expect the user to use the Web browser to visit their Web presence, but Windows 10 native apps written for these services can make for improved performance from these computers along with a sleek user experience. I still see this class of computer earning their keep as a viable alternative to the traditional clamshell laptop computer and the 10” mobile-platform tablet that is always just used at home. Here, the large 2-in-1 convertible laptop can appeal to a large class of people who use a laptop or iPad just for the typical computing tasks such as video and photo viewing, word processing, Web browsing and online communications but who appreciate the large screen. As for the cost, even if the sticker price seems to be expensive, you are effectively buying two devices in one housing and are likely to end up likely to make heavy use of these computers rather than thinking of dealing with the two separate devices.